Fortnite and Apex Legends have both caught themselves enduring something of a rough patch recently. The former, despite getting near-weekly content updates and balance patches, has seen developer Epic Games on the receiving end of criticism due to its latest patch. The reason? Last weeks’ v8.20 patch, besides introducing a brand new Limited-Time Mode, as well as new items, largely went down like a lead balloon with the Fortnite community due to the removal and change of certain popular pieces of content. Apex Legends, on the other hand, continues to struggle in light of its disappointing first Battle Pass. Season 1: Wild Frontier went live towards the tail-end of last month, bringing with it a modest collection of new character and weapon skins for players to unlock while ranking up. The cosmetics, while welcome, were criticized for being little more than lacklustre palette swaps of existing skins, an issue only compounded by the general scarcity of rewards beyond mundane profile badges and stat trackers. Apex developer Respawn Entertainment has since hit social media sites in an attempt to quiet the growing storm by promising bigger things for the future, though it’s done little to keep players engaged with the current season. And so, given the current climate, popular Twitch streamer of both games, Tyler ‘Ninja’ Blevins, has taken it upon himself to poke fun at the titles and their respective creators with a short but no less hilarious rant. Clearly dripping with sarcasm, the streamer’s roast pokes fun at Respawn by implying it needn’t release any well-received content as a means of keeping pace with Fortnite, but simply wait for Epic to make a mistake of such magnitude that it makes the former look more appealing by comparison. Fans of both games have already begun circulating the light-hearted tirade around the internet and both Respawn and Epic have no doubt caught wind of the joke made at their expense. Will criticism from one of the world’s biggest streamers be enough to make either party change course, though? 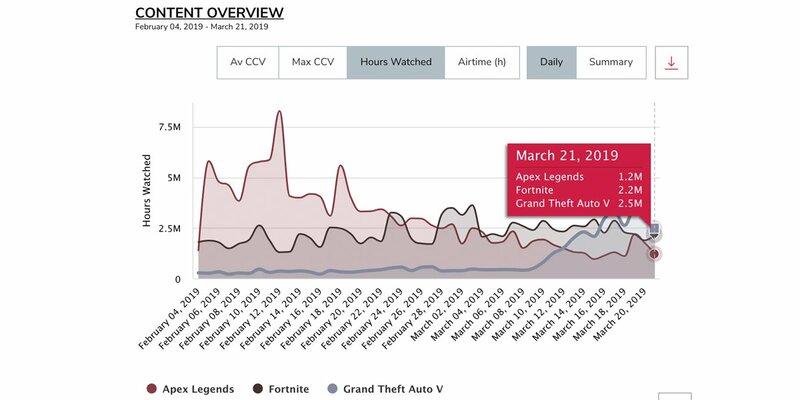 Who knows, but pressure certainly is mounting on Epic to revert the changes introduced to Fortnite with v8.20. Watch this space for any potential update.